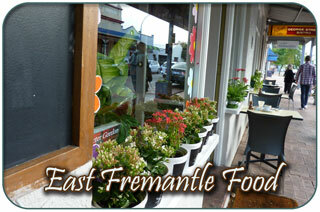 There are lots of wonderfully delicious cafes in South Freo, the beach suburb. This trendy part of town is relaxed, quieter and ideally located, only 3 minutes drive from central Fremantle and accessible by free CAT bus which drives you right through the centre of South Freo. 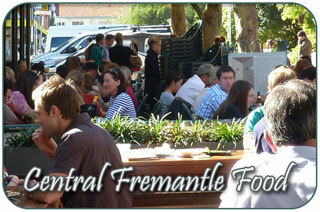 South Fremantle is a popular place for the locals who regularly enjoy the al fresco dining opportunities. 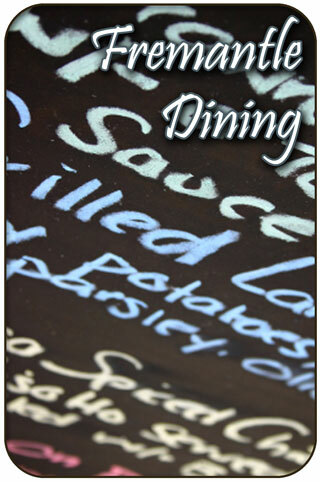 The many cafes play host to the early morning diners and excellent restaurants cater for pleasurable afternoon and evening meals as well. 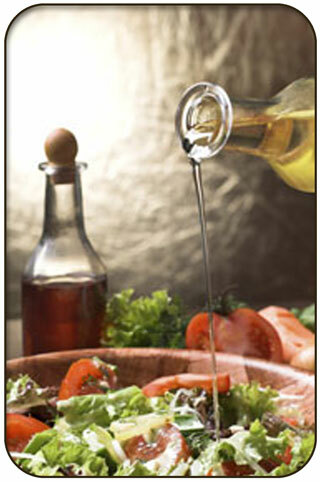 Visit delicious bakeries, healthy food cafes and enjoy takeaway and dining in meals with a choice of many different types of cuisine. 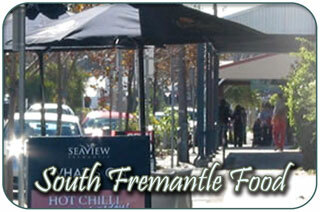 Here you will find our selection of South Fremantle Restaurants. 274 South Tce, South Fremantle. 388 South Terrace, South Fremantle. 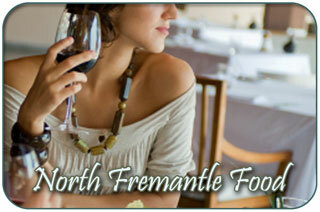 282 South Tce, South Fremantle. 386A South Terrace, South Fremantle. Unit 9, 47 Douro Road, South Fremantle. Wilson Park, South Beach: The Southern section of South Beach, which is over 400m includes Wilson Park extensive recreational facilities including a children's playpark, changing facilites and showers, grassy picnic areas with BBQ's, picnic tables, cafe kiosk, payphone and 2 large carparks North and South of the South Beach Cafe. 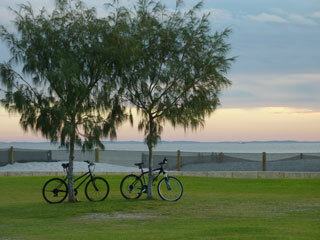 (Formerly Bathers Beach Sunset Markets) Every Saturday evening from 5pm - 9pm throughout the summer months. Enjoy a great global selection of delicious cuisine from friendly stallholders and great live entertainment, the perfect start to your weekend! Enjoy an evening swim and treat your soul to a glorious sunset over the Indian Ocean, one of the most beautiful sights to experience. There is a vibrant, peaceful and fun ambience as local and visitors come together on beautiful South Beach every Saturday evening from 5pm - 9pm throughout the summer months. Catch the CAT bus which will be leaving from the railway station every 20 minutes until 9.30pm.